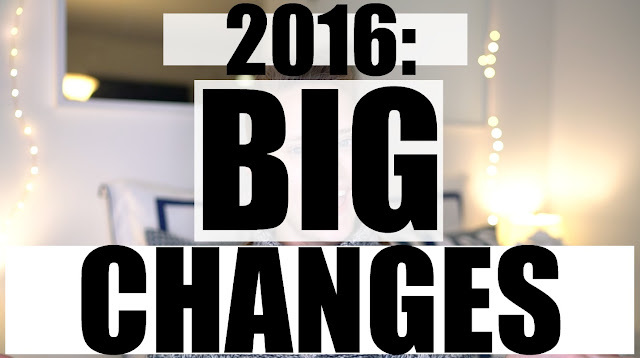 First YouTube video of the new year -- holler! I'm back with some big changes for 2016 and I can't wait to share them with you all. Be sure to check out the video below or watch HERE to see more! What are YOUR changes for the New Year? Excited to start knocking out these five things right away. Would love for you to subscribe to my channel since I'm going to be posting more frequently there! I'm currently doing a new video every Thursday but I have a feeling I might bump it up to twice a week (eek!!). Hi Krista - I'd be interested to know what the book is, I think it'd be an interesting read. Awesome list of changes as well, good luck! Not Krista, but the book has to be The Life-Changing Magic of Tidying Up. A good read for sure, even if implementing it went farther than I wanted to go as far as getting rid of things. We actually share so many of the same goals for 2016, especially when it comes to savings. It's so hard when shopping and you think, "oh this is an investment for the blog" or "I can blog about this, it's totally justified". I'm finding myself making excuses and savings is a much better investment! I hope 2016 is the best year yet for you! With getting rid of stuff+ saving money, you should check out ThredUp--you can send them your clothes within most major brands and they'll sell them for you. Anything they won't take they'll donate for you. It's not much money per item, but it's nice to get back a little bit—and you can just drop the bag wherever you usually take your packages. I use it because it's easier for me to seal things up and ship them than it is for me to individually part with things at consignment stores, and it's not super easy for me to get to a place to donate without a car—I'm in DC, but I figured the same might apply for you in NYC. Loved your video! My favorite change/goal was "To Have Less" - I think that's great. I've been slowly implementing that into my life and it's so liberating. My personal change/goal is to get a job I'm truly happy with after I graduate law school this coming May. Can't wait to see the new, exciting content coming to your blog!! If you're going to ride a hot air balloon, make sure you do it in Albuquerue during the Fiesta (October every year). No other experience like it!! !